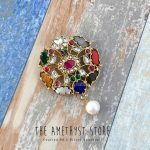 What is Kemp Jewellery & Why You Should Have One! 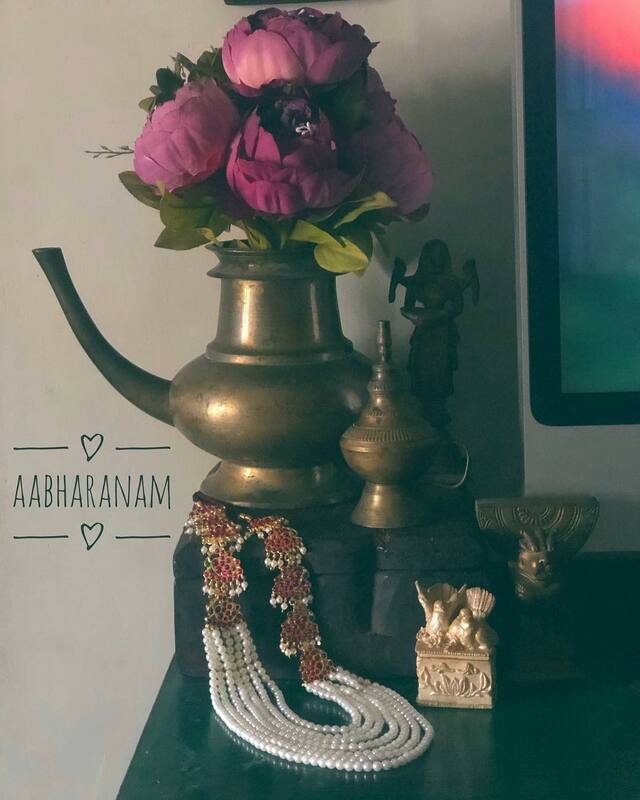 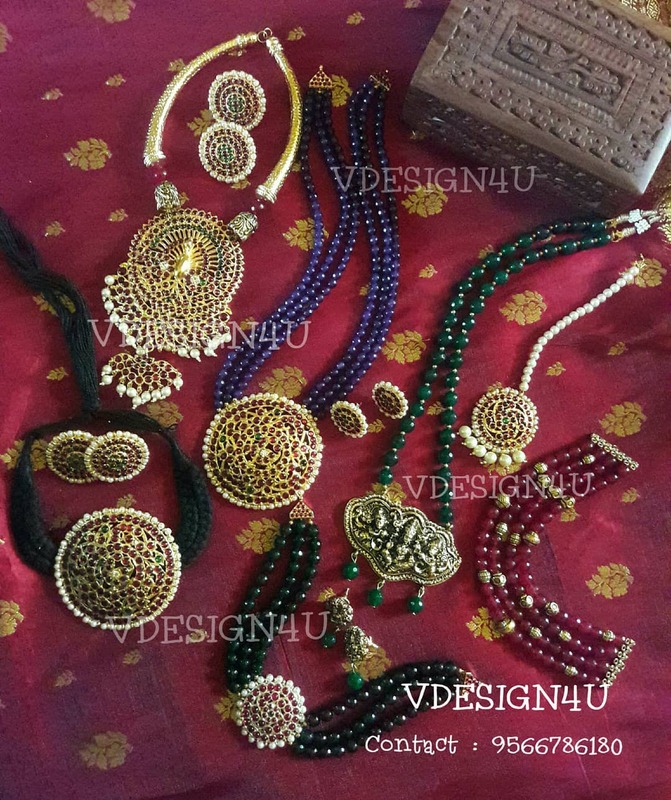 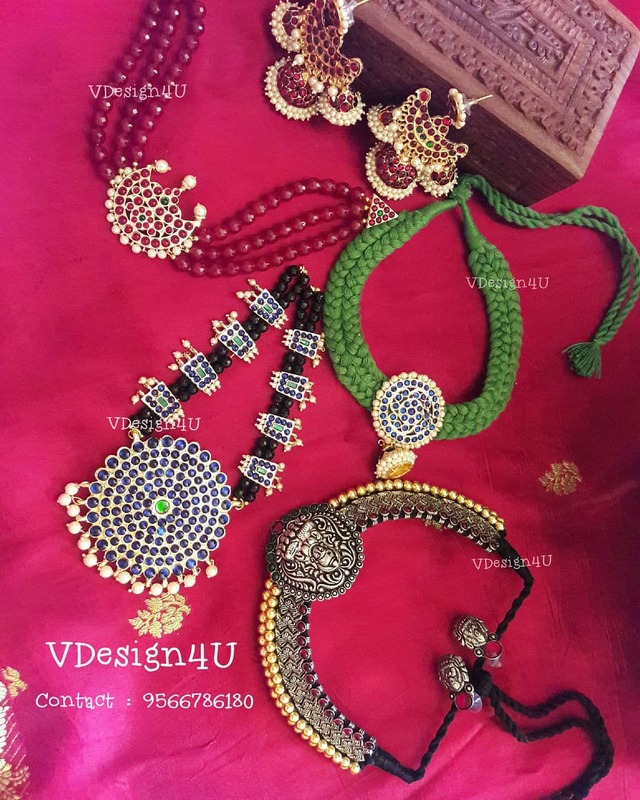 Home Antique Jewellery What is South Indian Kemp Jewellery & Why You Should Have One! 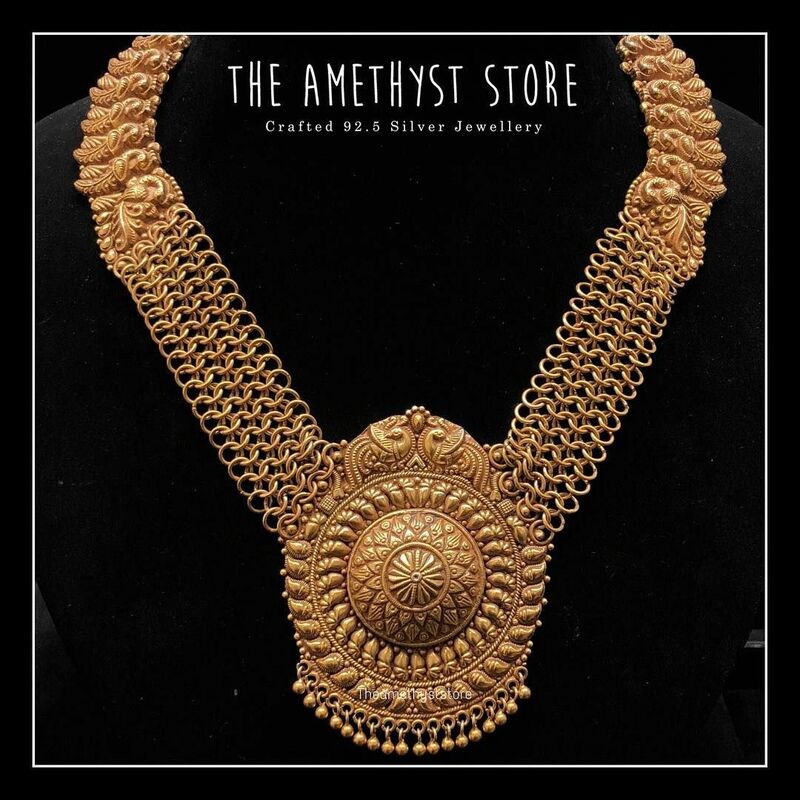 Kemp Jewelry is a select, labor-intensive art form that has actually stood tall across test of time and still continue to fascinate millions of women down south. 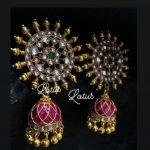 Initially created to decorate the royals in South India who later donated these to temples, then the temple dancers started wearing them and gradually, the designs turned into an integral part of the South Indian lady’s bridal jewelry trousseau. 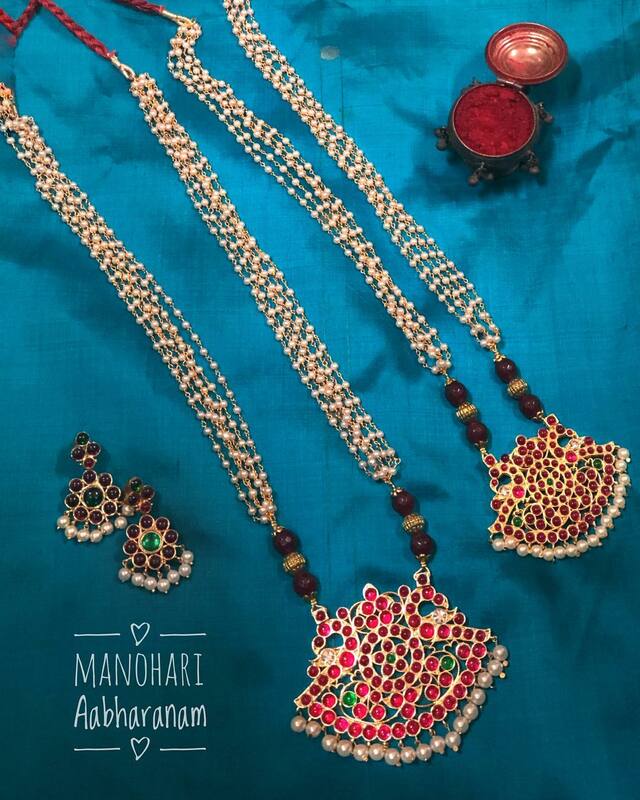 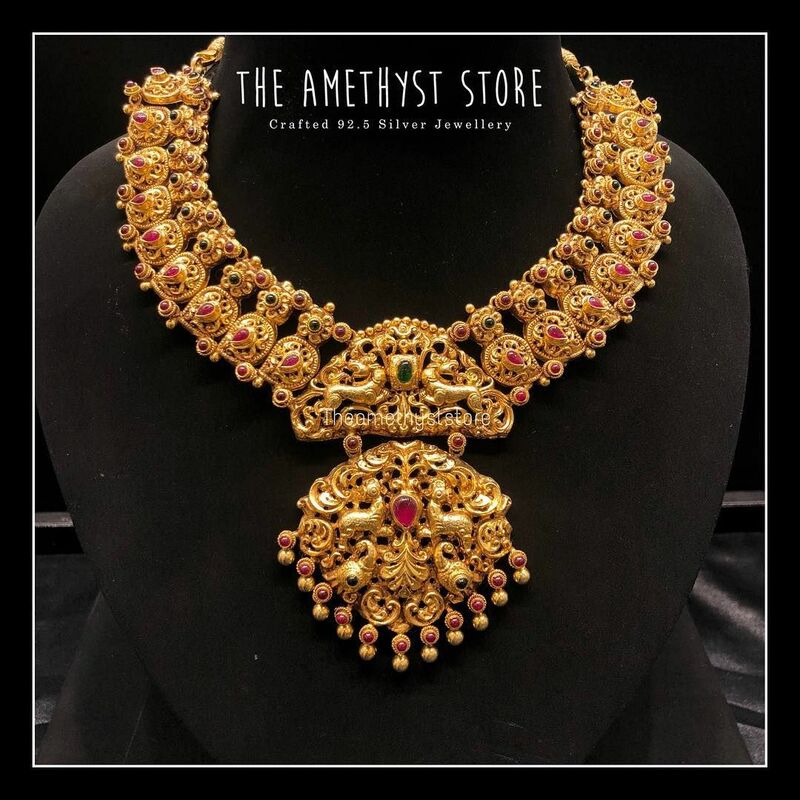 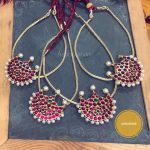 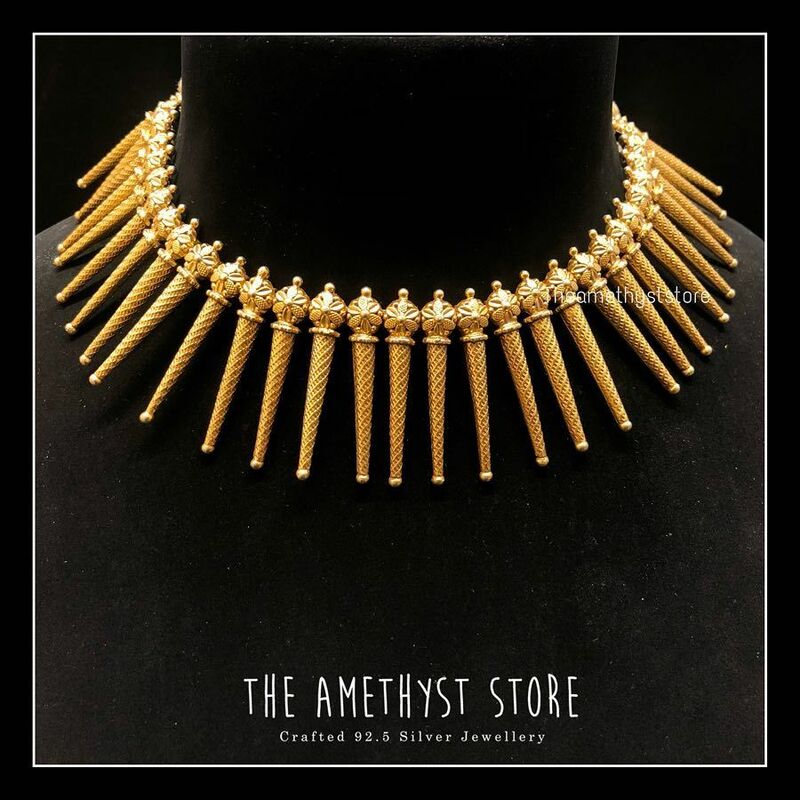 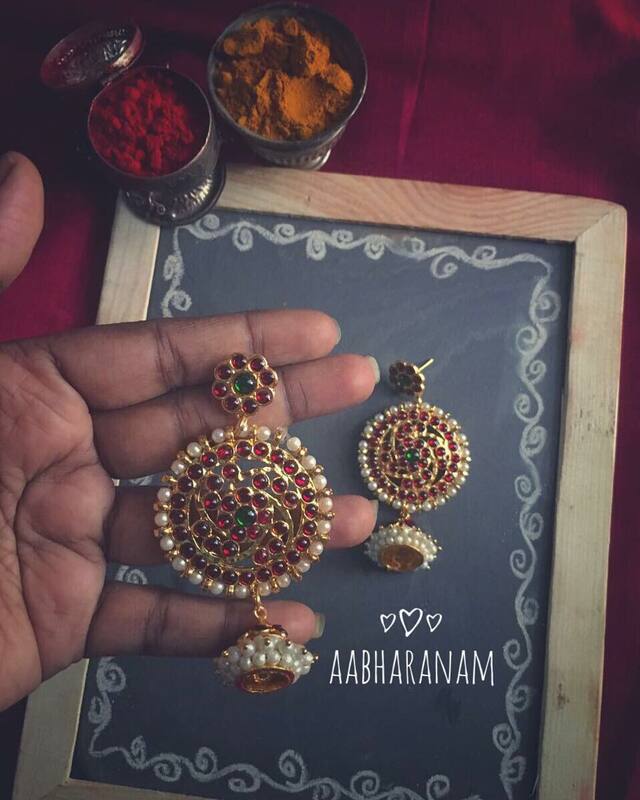 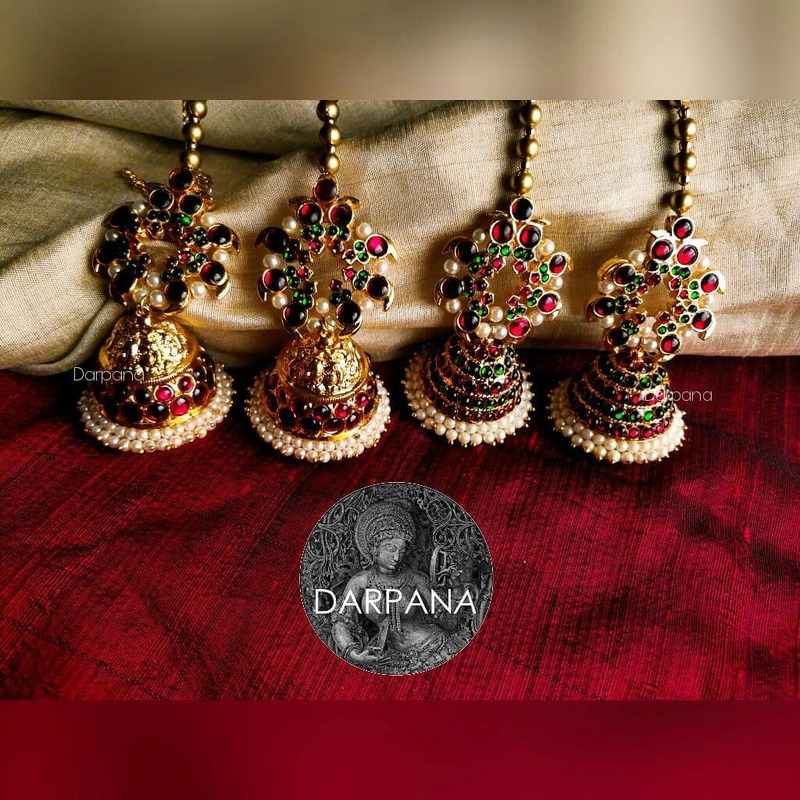 Hence these are also fondly referred to as Temple Jewellery or Dance Jewellery as it is still being extensively used by Bharatanatyam and kuchipudi dancers. 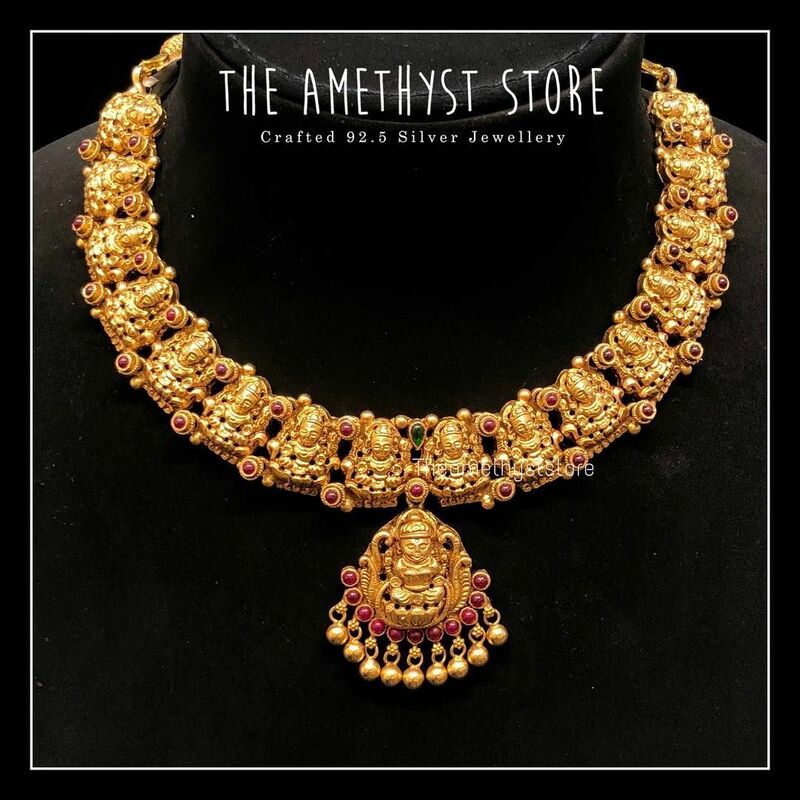 Temple jewelry thrived under the patronage of the Cholas, Pandyaas and Rayars rule from the 9th century till the 16th century. 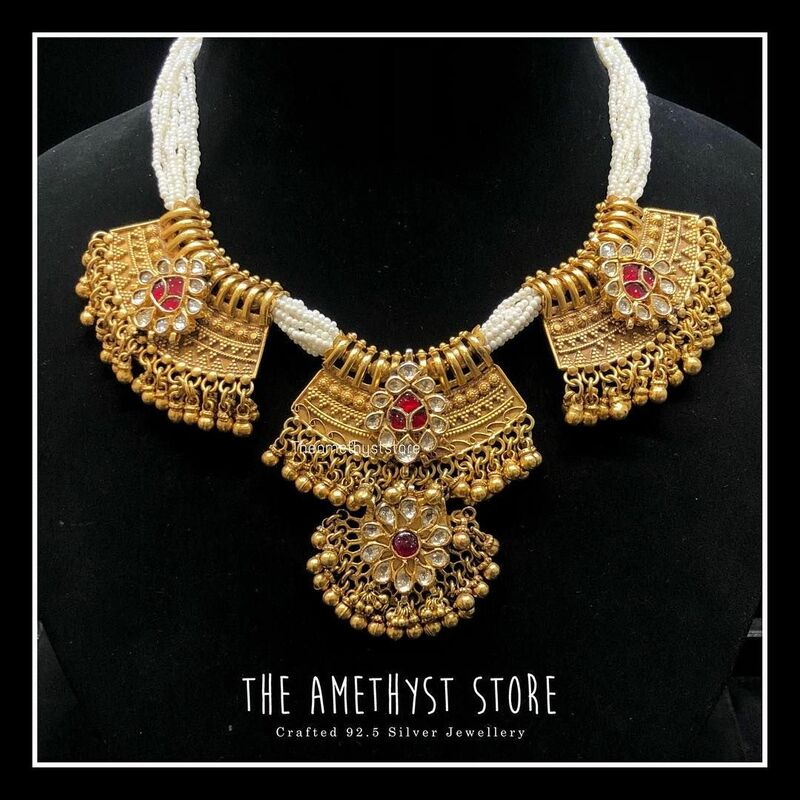 Originating from the town of Vadaserry, in Nagercoil district, Temple jewelry, is largely made of silver, finished with gold leaf work. 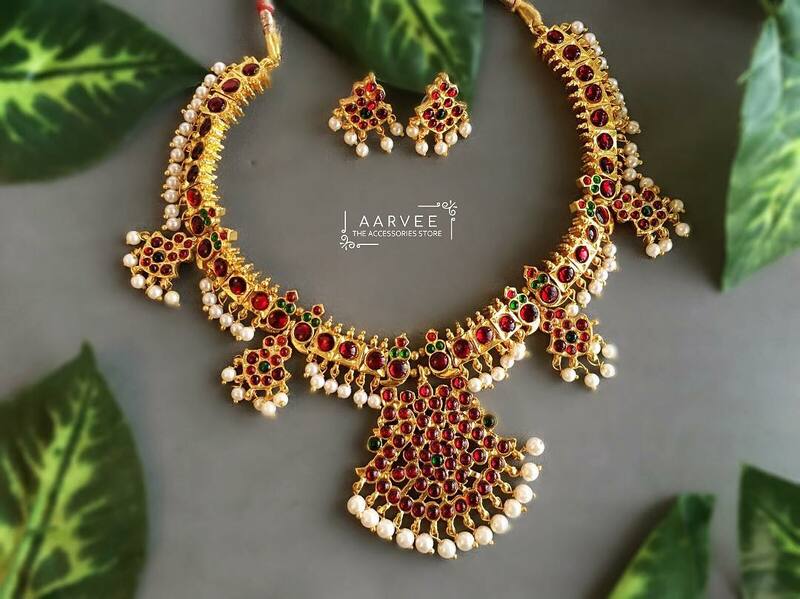 Its studded with rubies, emeralds and pearls which are set in place using a natural waxy gum called Arraku in the gold plated silver silver. 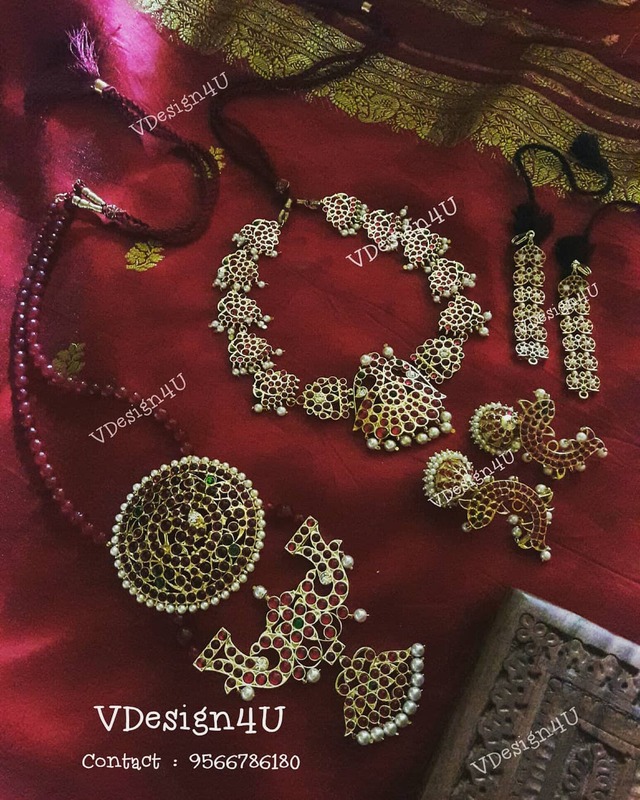 Kemp means the color red in some Indian Languages (Kannada and Telugu), yet kemp stones (however by and large red) can also be blue or green. 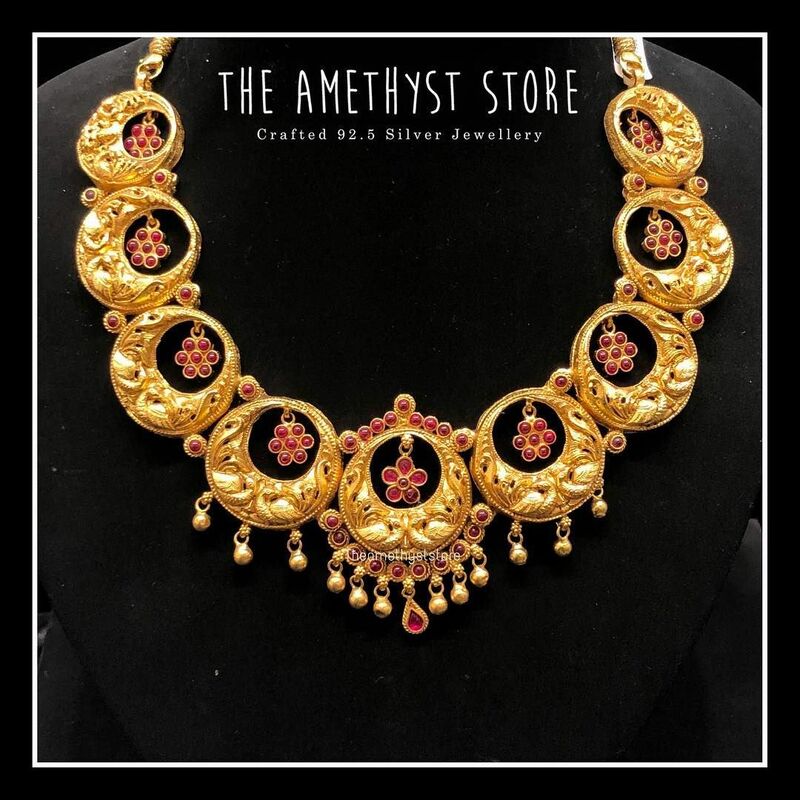 With its style and ethnicity, this excellent kemp jewelry restores one’s fondness for culture. 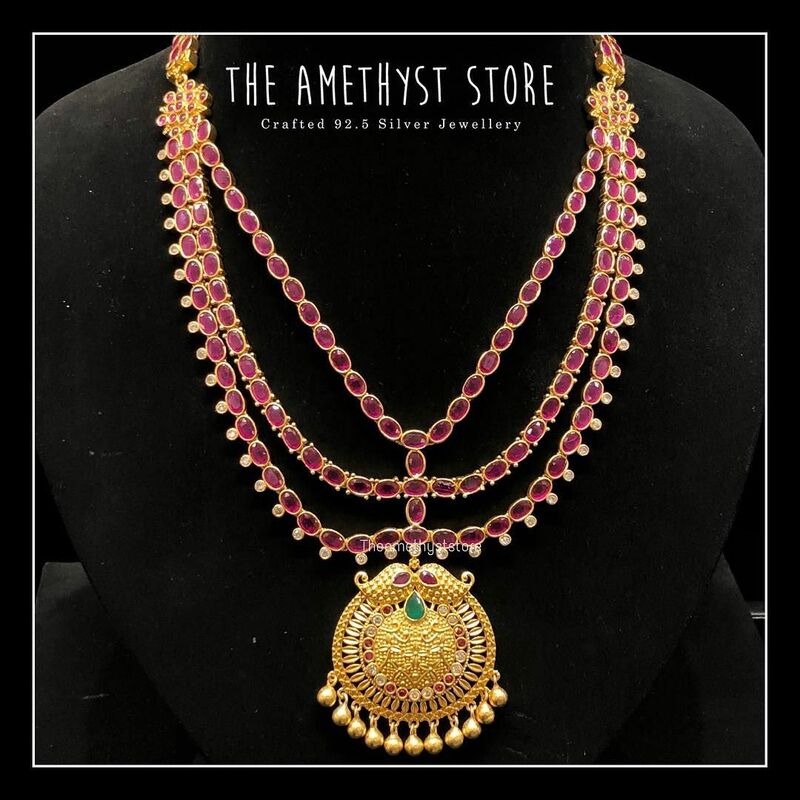 Indian jewelry is magnificent for their intricate detailing, elaborate designs and utilization of colored stones. 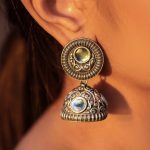 What’s more, kemp jewelry is an ideal example of that. 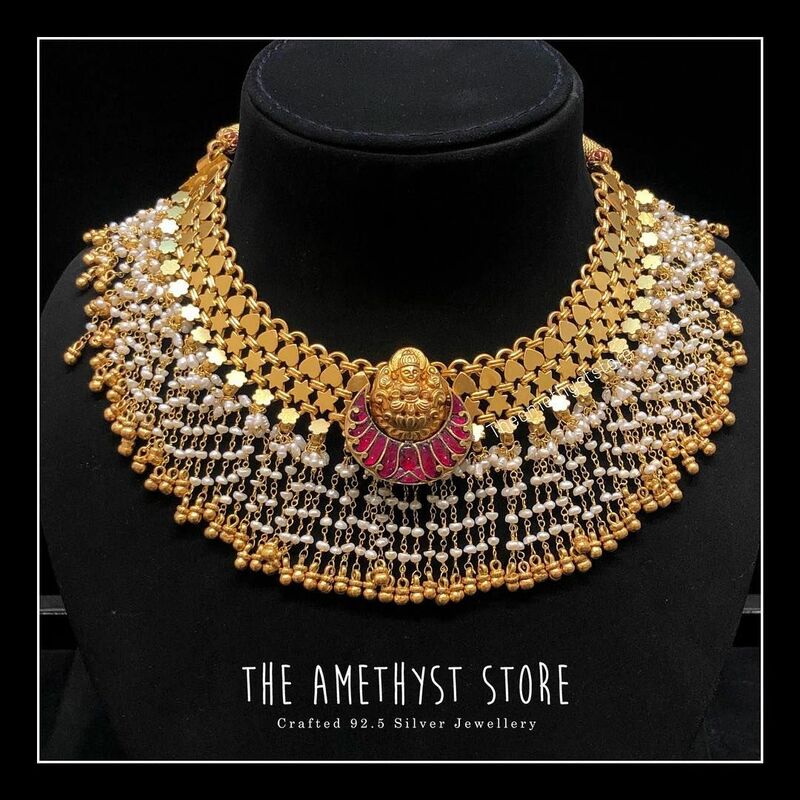 We have noticed a huge rise in demand for Kemp Jewellery and suddenly more brands have started exclusively selling these pieces. 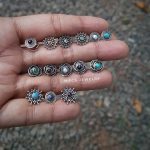 The current resurgence of kemp jewellery trend among jewellery lovers is something that can’t be denied. 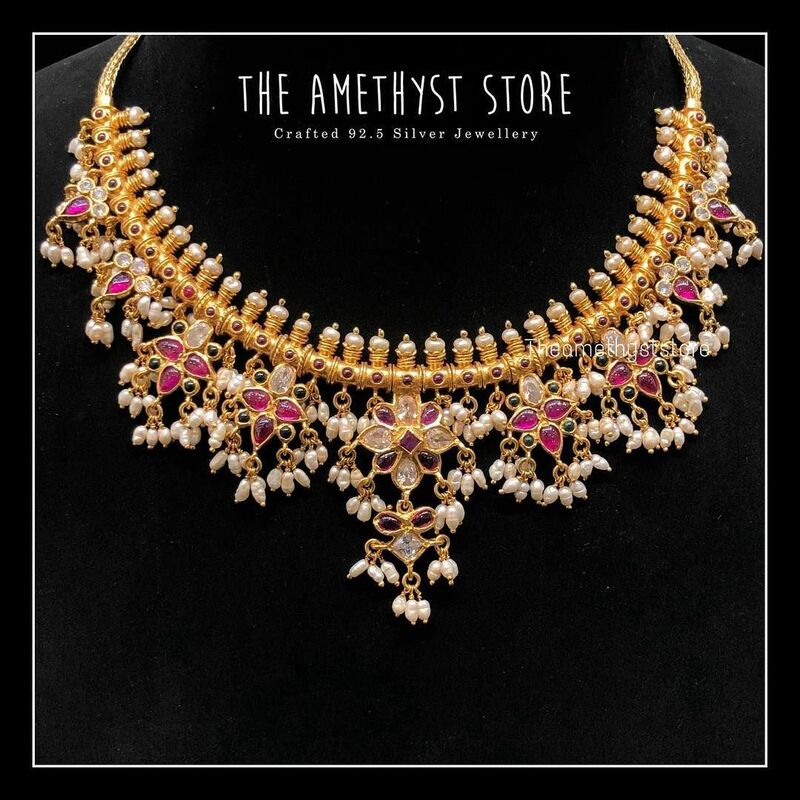 So, spoil yourself with these attractive pieces and flaunt your stylish best on special occasions. 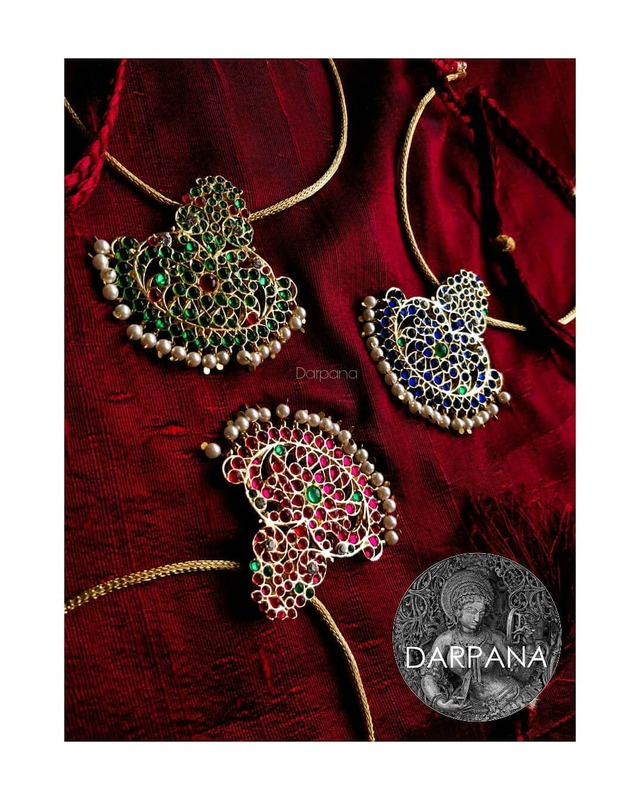 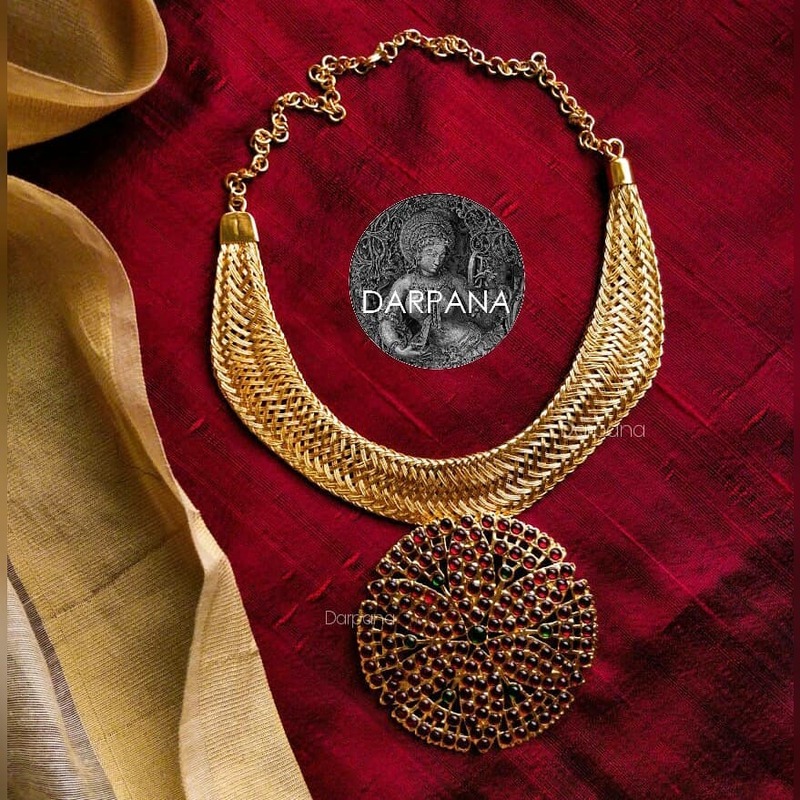 Darpana Design : Shop Now!! 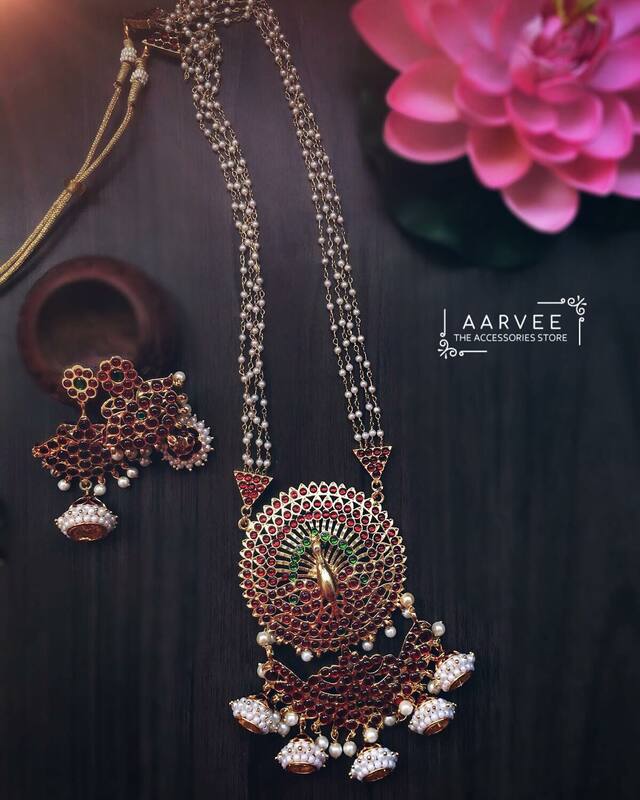 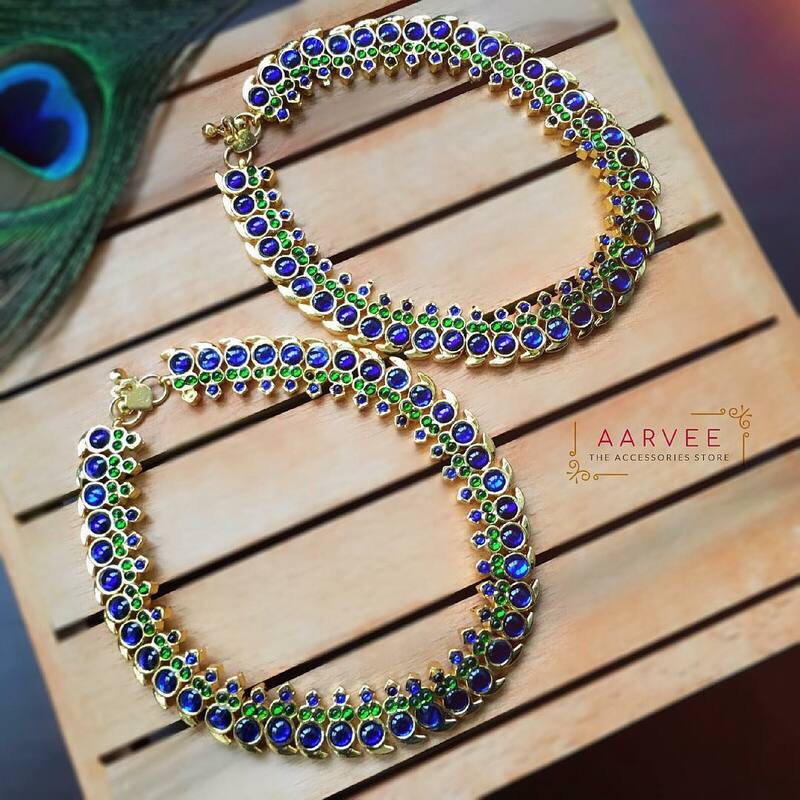 Aarvee Chennai : Shop Now! 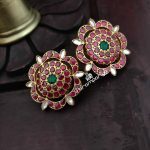 Bold Antique Ear Studs Are Making a Huge Come Back This Year! 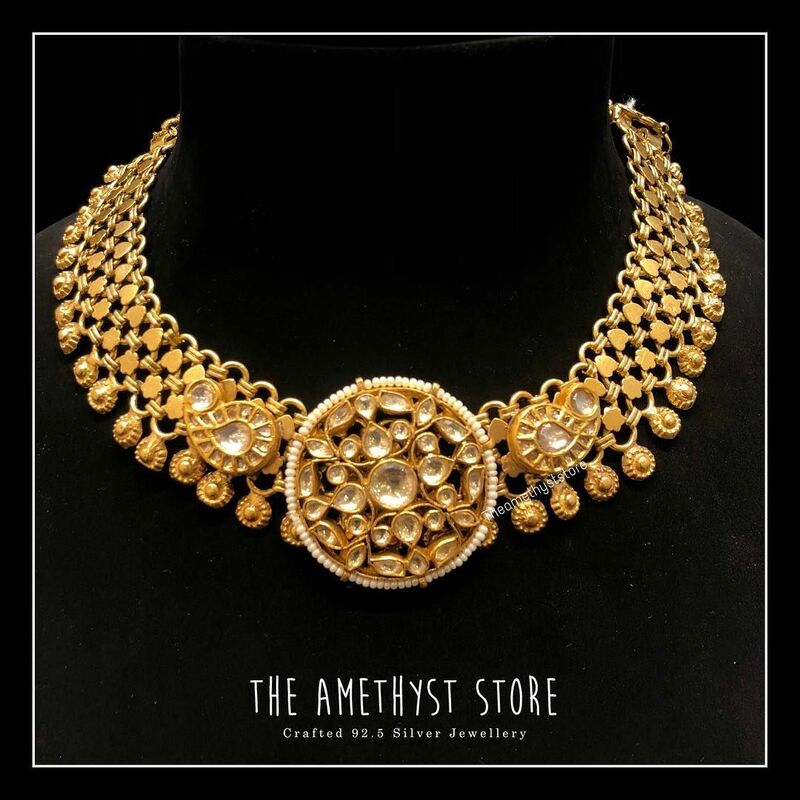 This Age Old Necklace Style is Never Going Out of Trend!